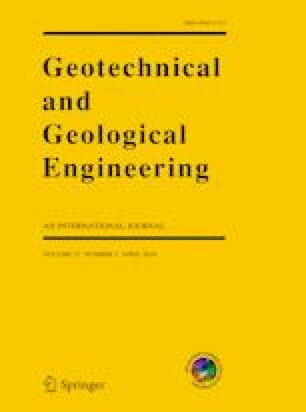 Many sources of data (remote sensing and meteorological data, soils and groundwater samples) were used to estimate the magnitude of geological hazards, which are confirmed with field and laboratory investigation in Najran area, Kingdom Saudi Arabia. Najran area is one of these locations. It is subjected to a range of geo-hazards due to its intrinsic physiographic and geologic nature. Najran area is a growing urban and agricultural development region; however, some infrastructures have been constructed in vulnerable locations to geo-environmental hazards. The potential geo-hazards that may occur under desert conditions include sand accumulations, dune movement, mass westing and rock fall hazards, flash floods, sand stroom and problematic soils. The current study throws more light on all these geo-hazards in Najran area. Also, remediation methods for geo-hazard should be proposed to avoid these natural hazards. The present study is a trail to calculate and evaluate the drainage basins properties and potentiality using remote sensing and (GIS) tools. Twenty morphometric parameters were measured, in order to identify and evaluate flash flood hazards. Flash flood hazards in the Wadi Najran watershed is classified into three groups based on their morphometric parameters results; namely, highly, moderately and low slightly hazard degree. Our findings indicate that Najran area needs more attention and care. The Saudi Government has to join together with other people to reduce the resulting geological hazards. This study was funded by the Deanship of Scientific Research, Najran University, for the fund to research Project no. (NU/ESCI/15/024). The authors, therefore, acknowledge with thanks Deanship of Scientific Research financial support as well as Civil Engineering Department, College of Engineering, Najran University for technical support. The authors are also greatly indebted to the editor of GEGE journal and the reviewers for their valuable time and the comments they raised that have improved the rigor of the work.